Speed and the ability to do more than just faux are massive advantages in choosing LIME for your faux finish needs. Typically, there is more than just the faux finish that needs to be serviced in order to deliver the desired outcome in a space. However, in most cases, faux applicators only do faux. Not so with LIME. From the consulting to the sample boards and application, LIME Advisors assess and advise during the entire process, making it easy, enjoyable, and refreshing for clients who choose to #GetLimed®. 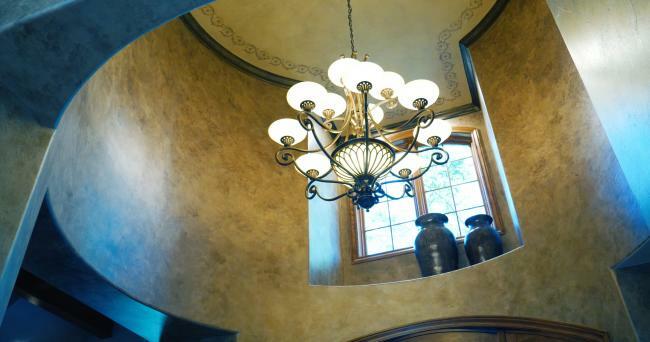 There are the faux techniques that are common to the industry, but most faux finishes are custom and unique to each project. That’s what makes a faux finish so special. Creating this custom outcome is LIME’s main focus when providing faux finishes. LIME Advisors take the time to consult in conjunction with designers and provide evolving sample boards until the custom finish is perfected. From there, the finish is scaled throughout the desired space. Understanding faux is not our client’s job; it’s ours. We take the time to consult on what our client wants so that we can build tailored solutions to meet the outcome. Our knowledge of products and finishes on surfaces can meet our client’s design goals or take them to the next level. Working with LIME’s Advisors is truly a custom approach from design to application.